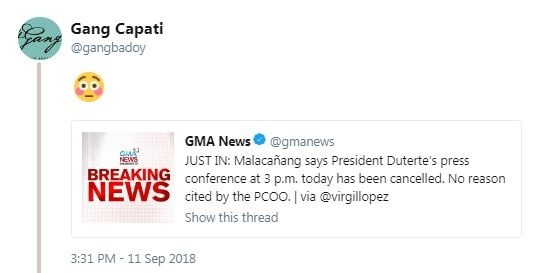 Malacañang cancelled President Rodrigo Duterte’s press conference and turned it instead into a tête-à-tête with Salvador Panelo. Members of the press reacted to the sudden change of plans by the President. On September 10, the Malacañang released a statement that President Rodrigo Duterte was set to make a nationwide announcement on September 11, at 3PM. 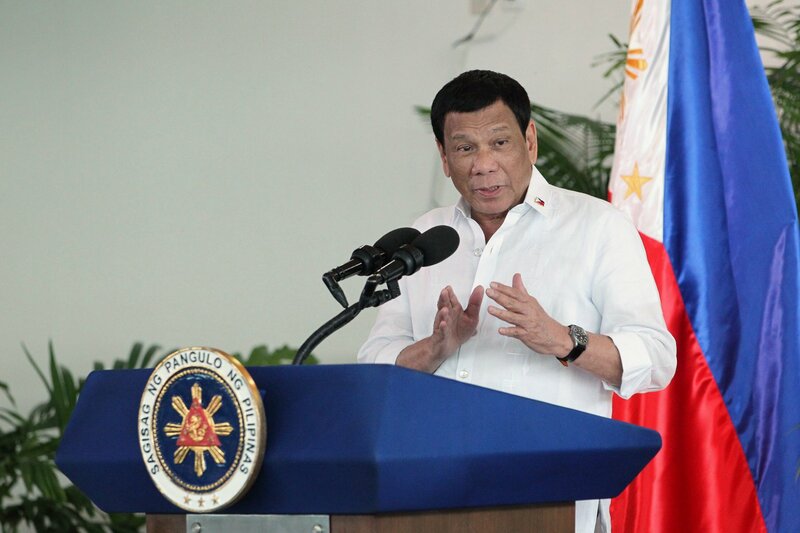 It was said to be a press conference wherein the media can ask him questions, however, members of the press and the public alike were surprised as the Palace suddenly announced that the event was cancelled. Almost an hour passed before it was revealed that the President’s nationwide announcement will push through. But the supposed press conference was reformatted into a tête-à-tête with Chief Presidential Legal Counsel Salvador Panelo. A tête-à-tête is defined as a private conversation with two people. 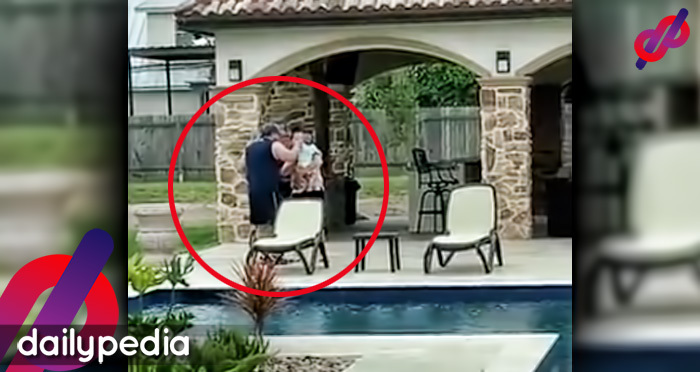 Media couldn’t help but react to the sudden change. 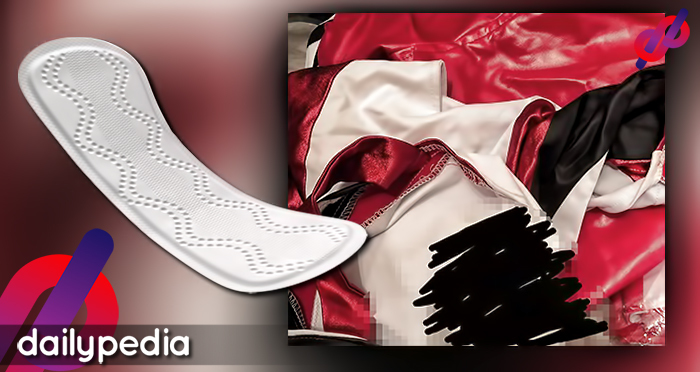 They took to Twitter to express their disappointment. 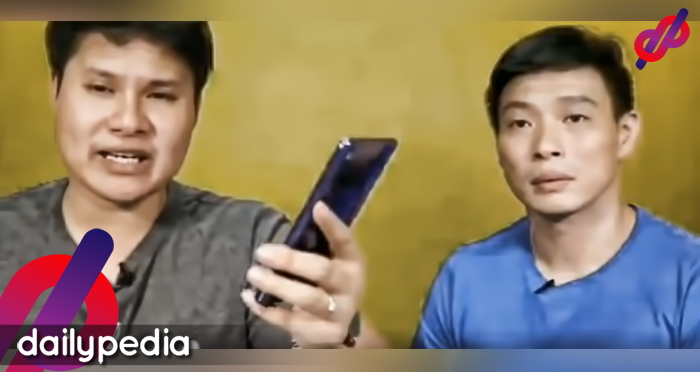 ABS-CBN reporter Jeck Batallones sarcastically tweeted for “kids” to stay silent as the grown ups are talking, referring to Duterte and Panelo. GMA 7‘s Jun Veneracion quote tweeted GMA News’ announcement with a shocked emoji. Like Veneracion, Jeff Canoy expressed his reaction by using a single emoji. They were joined by Gang Badoy who also relied on an emoji. She took back her reaction later on as the tête-à-tête was announced. Ay, erase erase erase, meron pala. Uh, tête-à-tête, Ateigh. Jamela Alindogan also tweeted the announcement of the close-in event. 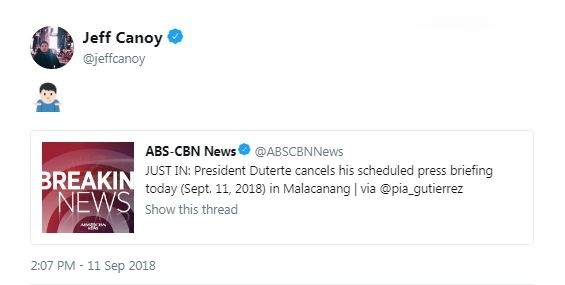 Duterte cancelled presscon with media. It will be a “close-in” event for PTC 4. Panelo will read questions from media instead. For the record, it is not a press conference when two government officials are talking to each other. Karen Davila quote tweeted Alindogan’s tweet saying that it was changed to a private event. 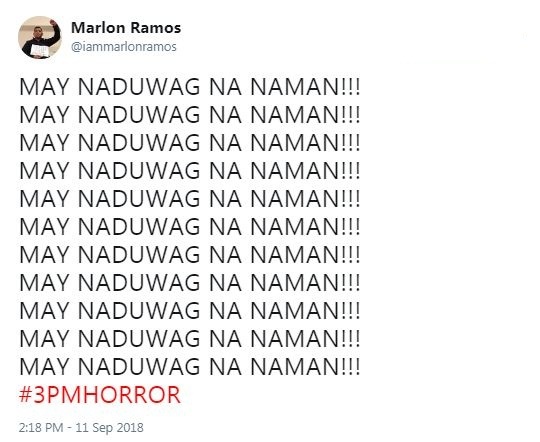 Meanwhile, Marlon Ramos was not subtle in expressing his annoyance at the situation. He continued to call the President a coward in another tweet. NAKAKATAKOT!!! NAGTAPANG-TAPANGAN NA NAMAN ANG DUWAG!!! 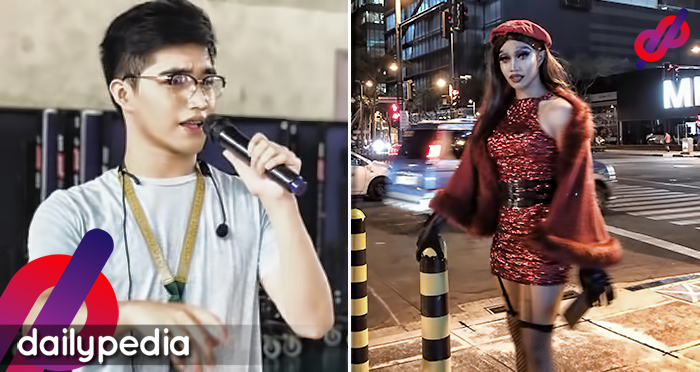 KUNG NAAAWA KA TALAGA SA BAYAN MO, ILIBING MO NA LANG ANG SARILI MO OGAG!!! Ramos also expressed his dissatisfaction over the ‘nationwide announcement’, comparing it to a chit-chat of two men on the street. Cess Oreña-Drilon expressed her confusion about the situation, unsure if she got stressed or relaxed. 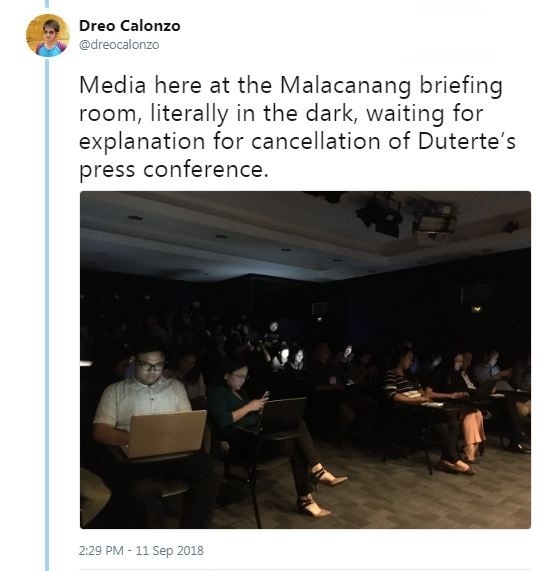 Dreo Calonzo tweeted updates about the situation in Malacañang and even shared the current location of all the press who were supposed to attend the initial conference. Duterte cancels 3 pm briefing today, his communications office announced. 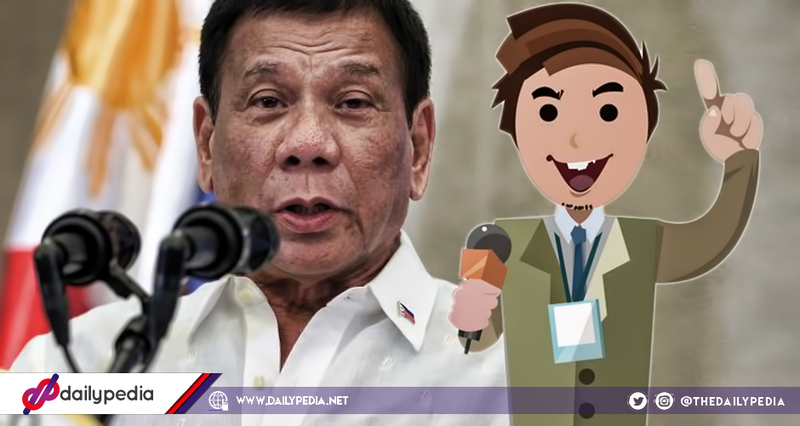 UPDATE: Duterte will still make a televised appearance, only covered by state media. He will have a “tete-a-tete” with his legal adviser Panelo at 3:15 pm. Essentially, Palace decided last minute not to allow media to cover Duterte’s appearance and ask questions. He will just have a televised conversation with Sec. Panelo. Media here at the Malacanang briefing room, literally in the dark, waiting for explanation for cancellation of Duterte’s press conference. Both local and foreign reporters now moving to pull out questions from “tete-a-tete” between Duterte and Panelo, after coverage restricted to state media. Joseph Morong also tweeted about the sudden change of plans. Morong then hinted about their wasted efforts for the press conference that didn’t push through. The tête-à-tête lasted for approximately one and a half hours.